Serious injuries can quickly lead to financial peril. Serious criminal charges such as DUI or vehicular manslaughter can lead to significant jail time. These are situations in which there is so much at stake. Having an attorney who is experienced and dedicated to serving clients in these practice areas is important to the result of such cases. Our Glendale criminal defense lawyers at The Law Offices of John Phebus have extensive experience helping clients. Since 1993, we have provided legal advice and guidance to clients throughout Arizona. Trust us to help you, too. Contact us online today to schedule a free initial consultation. Good people sometimes make bad choices. Whether you have been charged with drunk driving, a serious criminal traffic offense or a misdemeanor or felony crime, you are innocent until proven guilty. 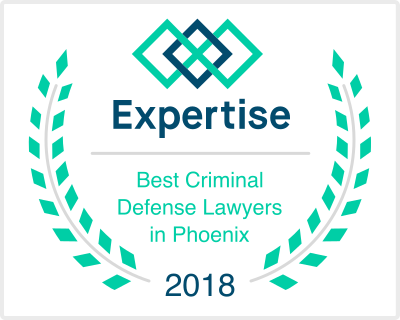 Our Phoenix traffic and DUI defense attorneys at The Law Offices of John Phebus understand that this is a difficult time and you have many worries and questions. We have answers. Protect your rights and your driving privileges. Whether you need a Glendale criminal defense attorney for a DUI charge, serious traffic violations or theft crimes, do not hesitate to contact our firm. Depending on the severity of the accident, the injuries might require surgery, multiple doctor visits, hospital stays or lengthy physical therapy. These medical bills, coupled with the loss of wages, can devastate a family’s finances. If you or a loved one was injured due to the negligence of another person or organization, you need a skilled personal injury attorney on your side. Whether your injury is the result of medical malpractice, an auto accident or other injury-related accident, we encourage you to contact our firm. We offer a free consultation for clients to discuss their situations in greater detail with an experienced attorney. It is important to work quickly, as evidence of the accident can be cleared away and witnesses might have trouble remembering certain details as time goes on. It is our goal to use whatever resources we can to gain a clear understanding of your accident and injuries before we begin negotiating with the insurance carrier on your behalf. Trust our lawyers for thorough preparation, attention to detail and prompt communication as we fight to protect your future financial stability. If you have questions regarding criminal defense, DUI defense, physical accidents or medical malpractice, schedule a free consultation at The Law Offices of John Phebus. Our firm can be reached by calling 623-847-7117 or by completing our online contact form. Our office hours are 8 a.m. to 5 p.m., Monday through Friday. Evening and weekend appointments are available based on the needs of our clients.